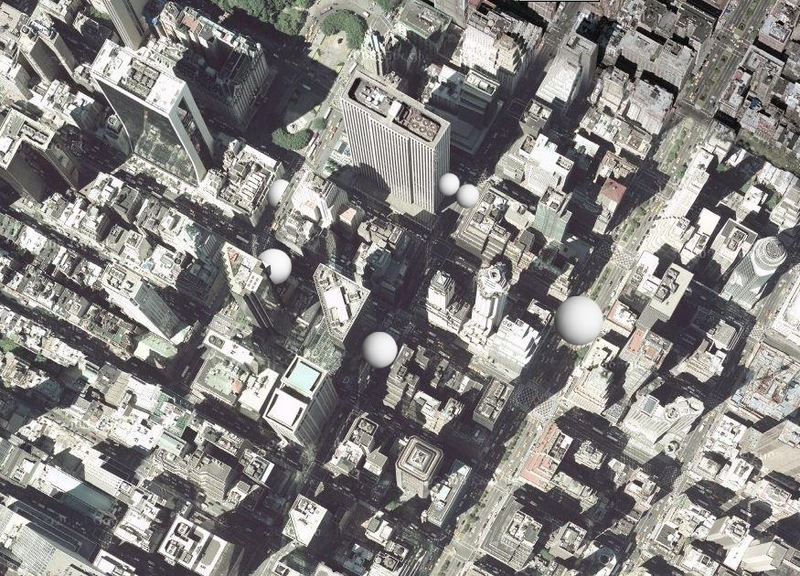 Multiple satellite balloons are used to block the streets in Manhattan. These balloons should be in scale of between thirty to fifty meters in diameter. 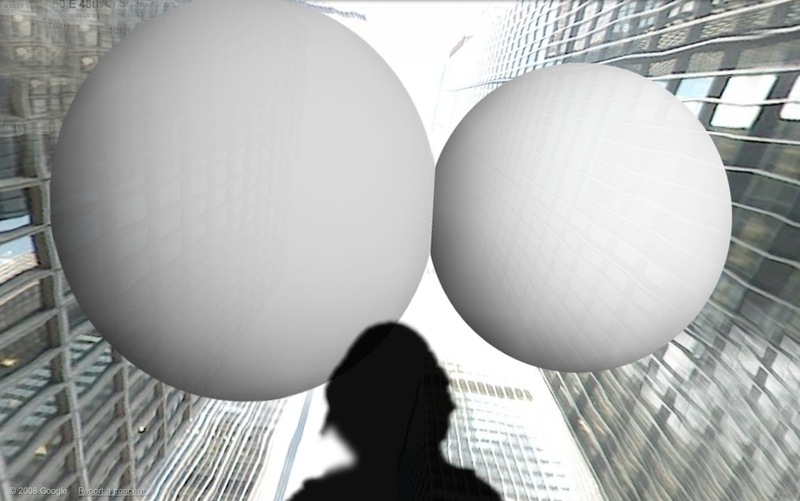 They are put on the ground or floating in the sky sitting between surfaces of two buildings. Pedestrians and cars are diverted or blocked or will pass under. 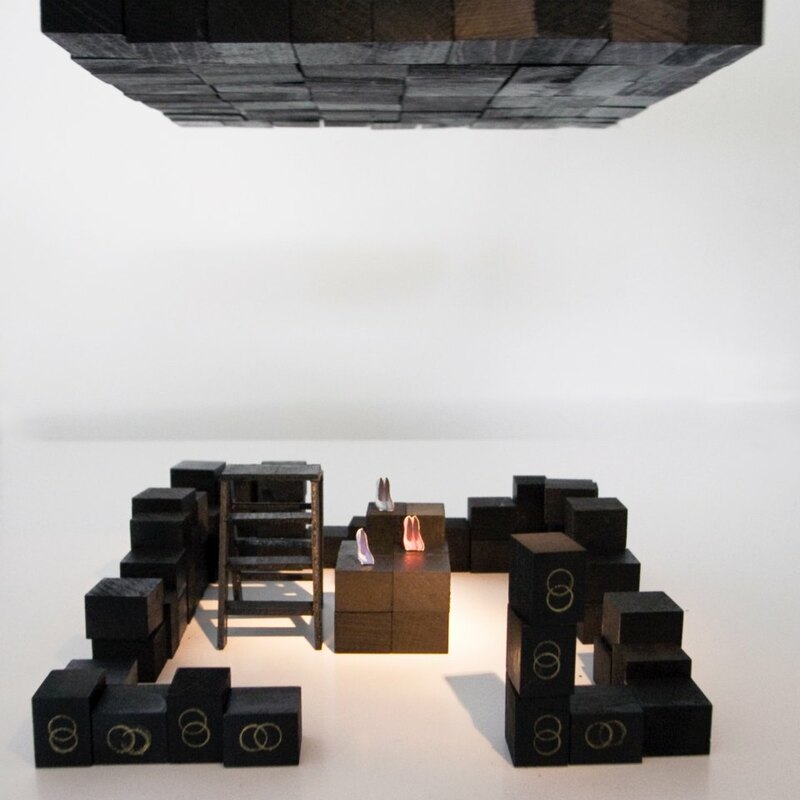 The project aims to convey a feeling of security out of hopeless absurdity. 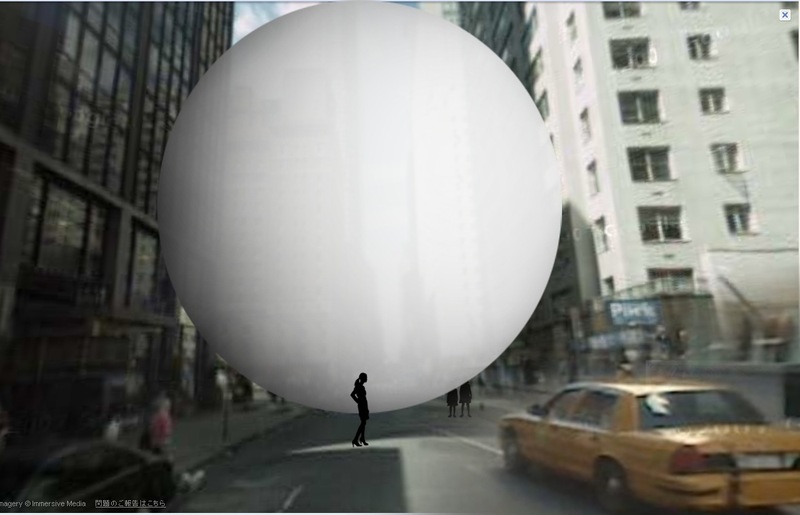 New York fantasy is made of unreasonable destiny that occurs everyday. The title reflects Haruki Murakami’s novel “Pinball, 1973”. The Brooklyn Bridge is split in parts. 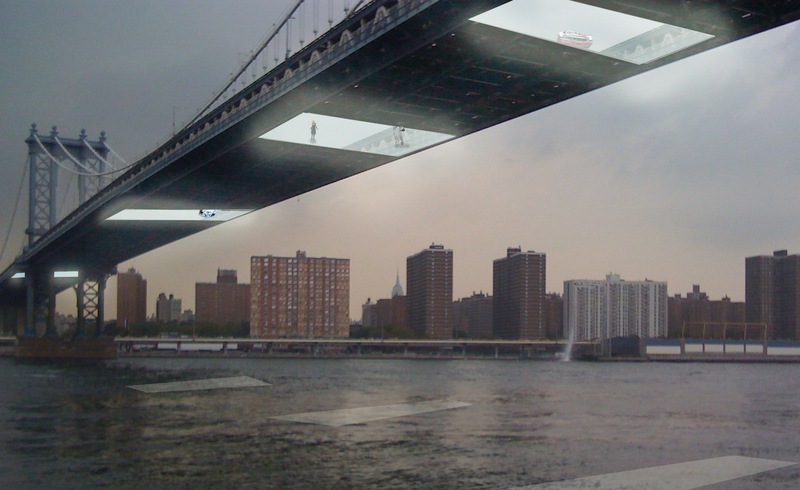 Some parts of the Brooklyn Bridge are replaced by glass. The bridge looks fragmented in numbers from a far. In fact, people and cars can go on the bridge, and the bridge makes them look walking on air at closer view. Drivers will feel frightened every time they need to pass on the glass which creates a big traffic jam on the bridge. Once all conquering fear, the bridge will turn totally normal for them.